Seeking Dependable Window Cleaning in Gordonsville? Gordonsville offers a contractor that beats all others out there. Cavalier Window Cleaning & Power Washing are the experts when it comes to the homes exterior, gutters, basement floor and windows. Our services are done by professional men and women who take pride in their jobs. We can fulfill your needs one project at a time. 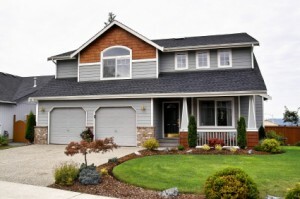 Lots of homeowners, in the area, hire us for gutter protection. If you’re not familiar with gutter protection, then consider the following; how many times have you had to clean out your gutters in the past year? How long have you let your gutters lapse in maintenance? Gutter protection only costs about 1/3 of what it would to do major repairs on the roof and protection keeps you safe as well as the home. Too much gathered water can end up making its way into your interior which can be very damaging. Have your guard installed today. Our technicians are waiting for your call. You can’t beat good protection for your gutters. No matter the type, size and style; there is a gutter guard with your name on it. Divided-lights are windows that have divided cross sections in them. These windows can help to cut down on the amount of harmful UV rays that enter into our homes naturally. With good cleaning to them; they will even cut down on your energy bills. For the best in window cleaning services; call Cavalier Window Cleaning & Power Washing. We love working with all types of windows no matter the size or quantity. Call for a free quote today! Historic properties are something that the community likes to see intact. It’s hard to view a property like that only to see it caked in grime. That’s why we offer professional pressure washing. We can prevent historical building from looking like they did 100 years ago. Not only will we treat your historical building with respect but any dwelling that you have our pressure washing service done. We can wash up to six stories of any commercial dwelling and take on your residential need too. Try our window cleaning services as well as our power washing and see what a change that it can make to your building or home. 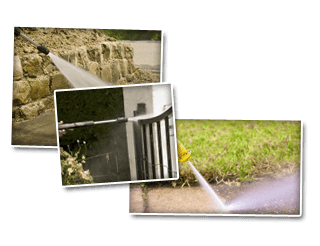 We also offer flat surface pressure washing that includes wood, concrete, stone and brick. If you are looking for a Gordonsville window cleaning & Power Washing Company then please call 434-823-1737 or complete our online request form.